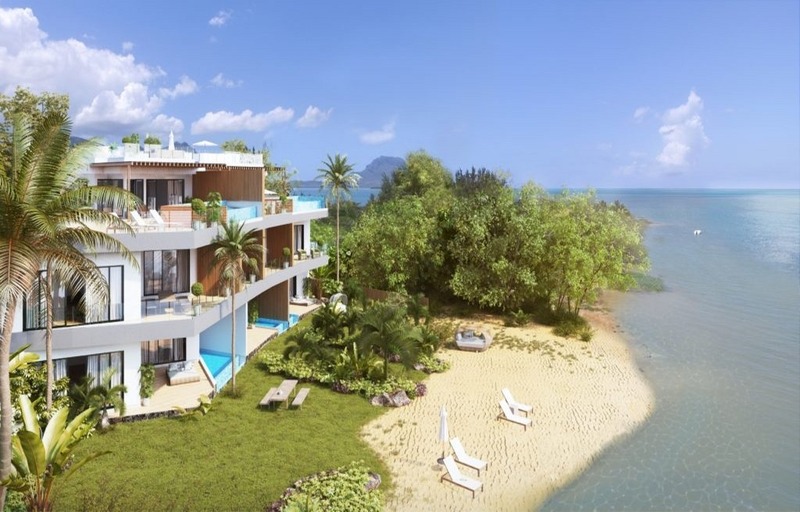 ZILO Luxury Beach Property in Black River is an exceptional residential development. It is located on Ilot Fortier, a 1 km long private island surrounded by the beautiful white sandy beaches of the tropical lagoon. In the heart of a preserved natural sanctuary hosting exotic fauna and flora, the property is a one of a kind offering its privileged residents absolute peace of mind and magnificent panoramic views. 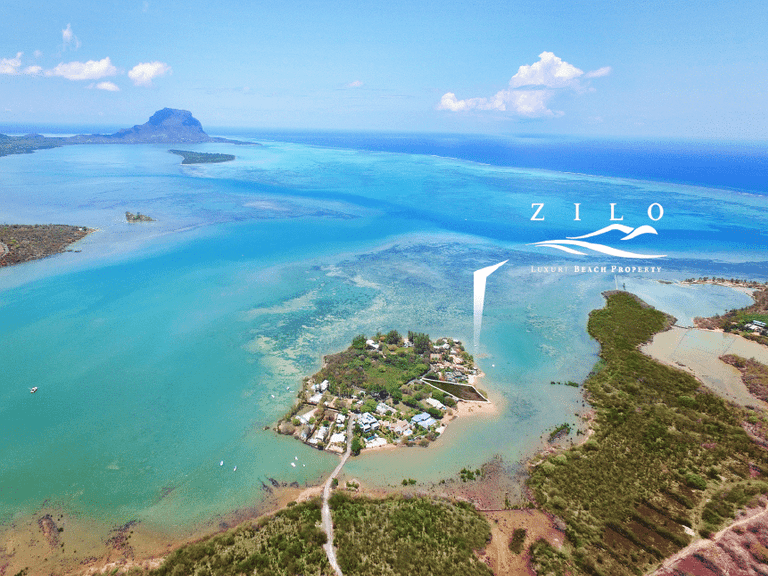 ZILO Luxury Beach Property in Black River, provides the exclusive opportunity to acquire a freehold residence in a select geographical location on one of the rare residential islets of Mauritius. • Reachable in less than 5 minutes by boat from Bénitiers island, a very popular excursion site. • In close proximity to the national park of the Black River Gorges, hosting the natural heritage of Mauritius and its last tropical forests: waterfalls, unusual panorama, hiking trails as well as numerous species of owering plants and endemic birds. • Close to Tamarin and Flic en Flac, seaside resorts renowned for their beaches as well as their festive and nocturnal activities. • Near the Morne Brabant, a stunning mountain world heritage of UNESCO. With its cleanliness and nicely raised garden, ZILO Luxury Beach Property in Black River fits perfectly into its natural environment. The warmth of the noble materials brings an indispensable touch of elegance to the prestigious apartments. 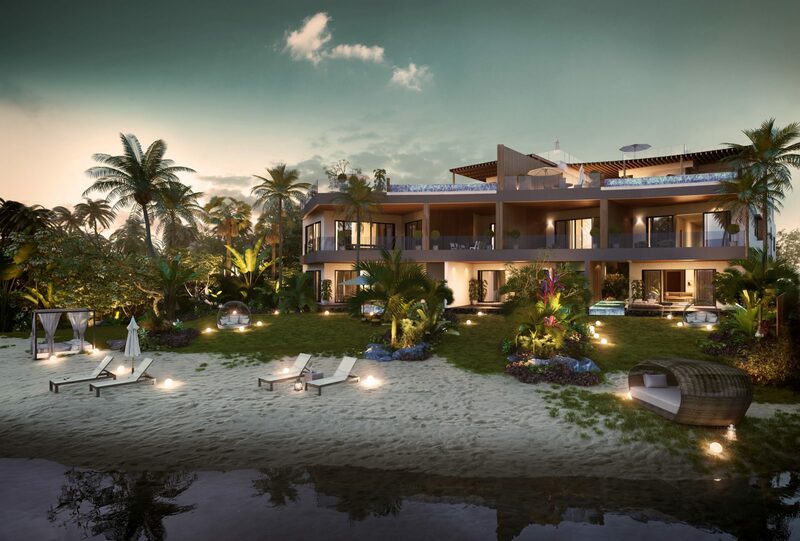 Each apartment on the ground oor has a private swimming pool and a large exotic garden with direct access to the sea. The bright and spacious convivial areas and large oor to ceiling openings allow the residents to bask in a delightful sunlit atmosphere and the magni cence of the blue horizon. Gaze at the gorgeous starry sky and sparkling sea views during wonderful evenings spent with friends and family on the terrace of your penthouse. 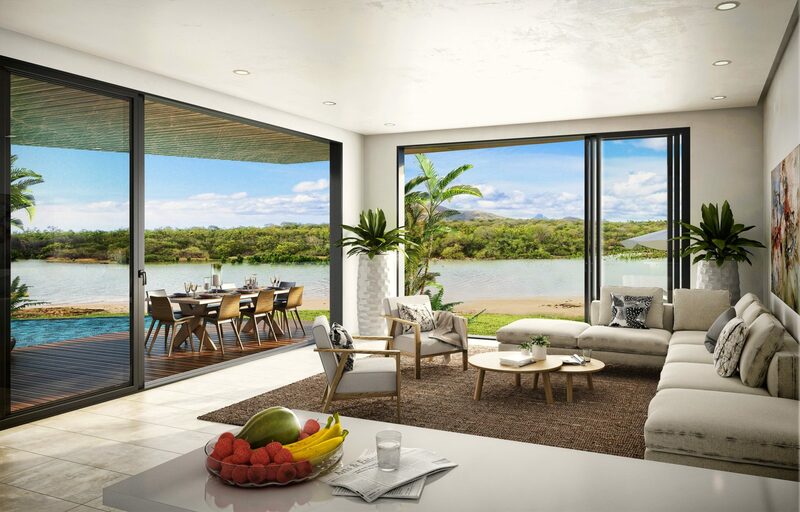 ZILO Luxury Beach Property in Black River includes 7 beachfront apartments on the only freehold islet of Mauritius, allowing an exceptional investment for foreigners. • 3 apartments (317 to 439 m2) on the ground floor with private swimming pool and garden. • 3 bright and airy apartments (173 and 205 m2) on the 1st floor. 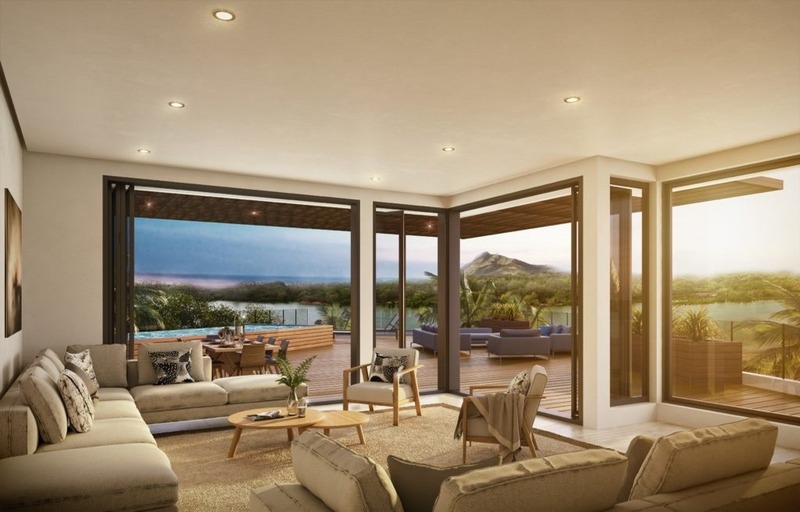 • 1 penthouse (594 m2) on the top floor with private swimming pool and panoramic view over the lagoon and mountains.